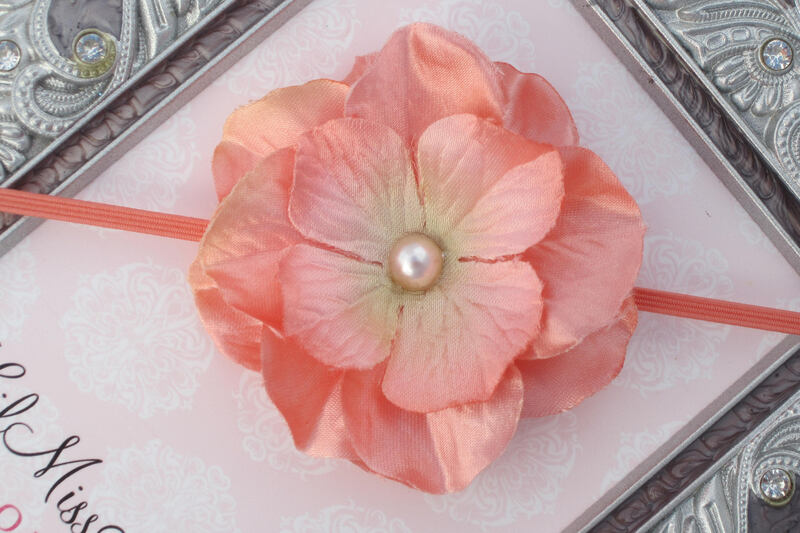 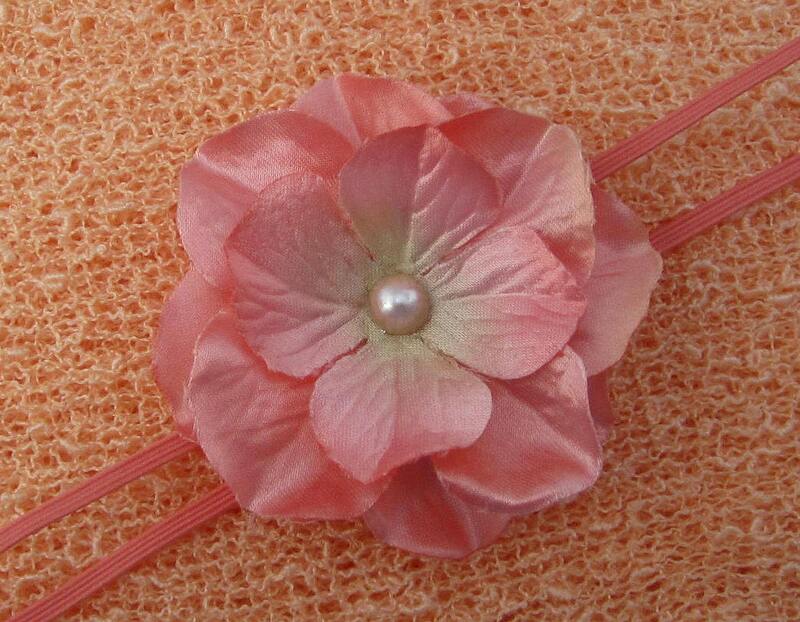 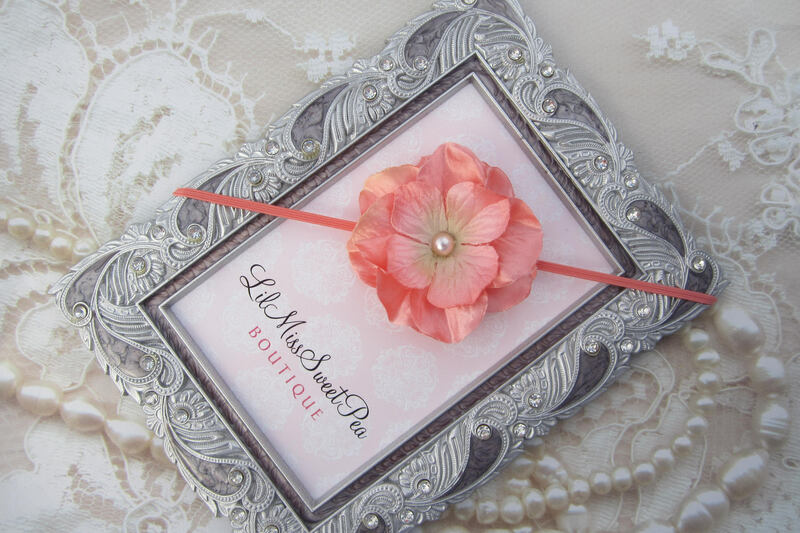 Peach Flower Headband, 2.75 inch flower, on skinny elastic, photo shoots, newborn swaddle wrap, bebe foto, satin flower, Lil Miss Sweet Pea. 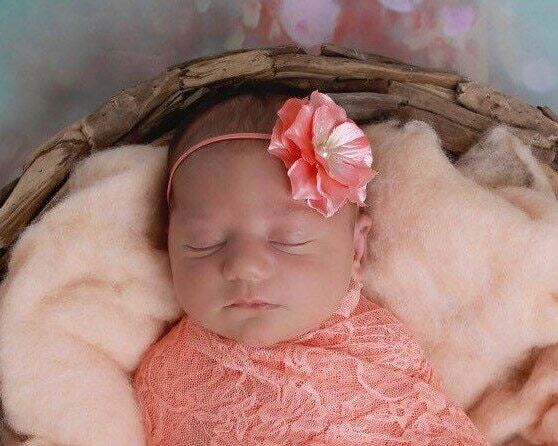 Headband 6 months and up. 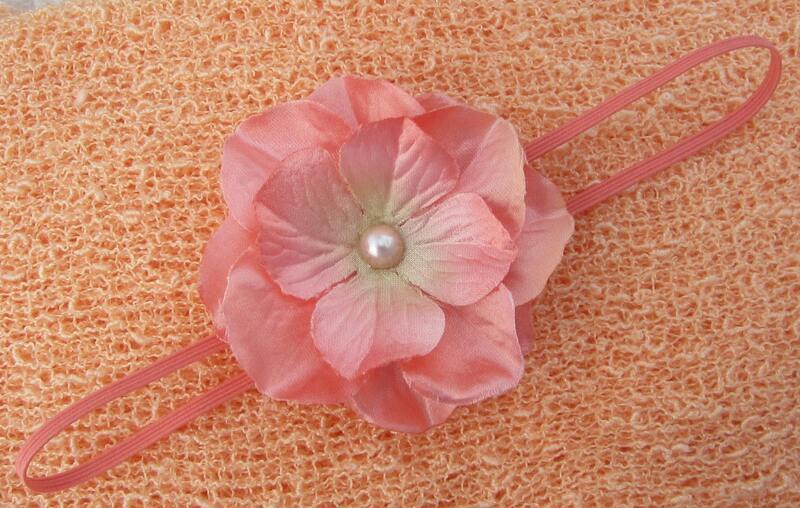 We use very stretchy elastic so it will fit all ages.